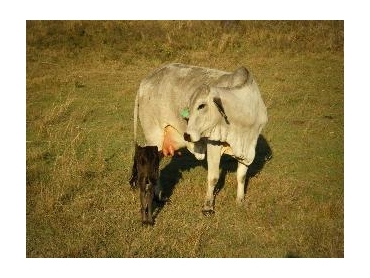 Heal with Ease are currently working on a homeopathic medicine to improving post weaning weights in calves. The team at Heal with Ease are farmers who want what all farmers want - reduced animal health costs, while improving weight gains, production and ultimately the bottom line. Since commencing the use of homeopathic medicines on the farm, Heal with Ease have looked at every situation with fresh eyes and attempted to find a homeopathic remedy that will assist at every stage. One particular remedy being worked on is one that will improve post weaning weights in calves. Most cattle farmers will reveal that their calves fail to put on weight (sometimes even losing weight) in the few weeks to a month after they are taken off their mothers. Even at a weight gain of 1/2 kg a day per animal over the herd can add up to big dollars. The need for the calves to gain weight continuously after weaning is imperative to the sale price and the time frame for having the weaners leave the farm for sale or slaughter. Heal with Ease have taken the approach of looking at this situation from an emotional and mental point of view. Farmers need only watch their cows when their babies have been taken away to notice the distress caused. Cows will cry, and bellow at the fence for up to a week after weaning. Sometimes they jump or knock down fences just to be with their babies. It is no less emotional for the calves. Their mums, like all mums are their life support system and therefore Heal with Ease's thoughts on the weaning process extend to considering their emotional states. For the cows it is this plus being terribly uncomfortable with the load of milk they are still producing. From this point of view, homeopathic medicine has incredible tools to assist the release of these issues and allow the animal to move forward. This year at weaning, Heal with Ease farmers separated the cows and calves in the secure yards. They were then left like this for a few hours to allow the situation to get to an emotional state, at whick point the calves were treated with a remedy, and the cows with a combination of remedies. The cows were then taken away to a different part of the property. The calves were left in the yards for the next four days being fed hay. The calves were between 8 and 10 months old at this time. During the four days in the yards it rained 2 inches of rain on them which would muck them up in good times. The next question posed was whether the calves would move on from their mothers and put their heads down and eat. The average calf weight at weaning was 225kgs with some over 300kgs, a good average weaning weight for Wagyu calves. One week after weaning they were put back in the yards to weigh. The average weight gain over 90 calves was .945kg per head per day. There were four out of the group that had not put on weight at all and some that had put on nearly 3kgs per day, a very pleasing result to say the least. Homeopathic medicine involves no chemicals, it is highly cost effective, and while it may at times be labour intensive, the payoff for the farm, farmer and the animals is worth the effort. Over time, as the herds become naturally stronger, the need for more than average treatments will reduce and result in a better profit at the end of the day.